Microsoft has pulled the Windows 10 Version 1511 (Build 10586) downloads from every publicly available official channel – to the dismay of many people who wants to upgrade to latest version of Windows 10, but either not been offered by Windows Update or encountering error when updating via Windows Update. 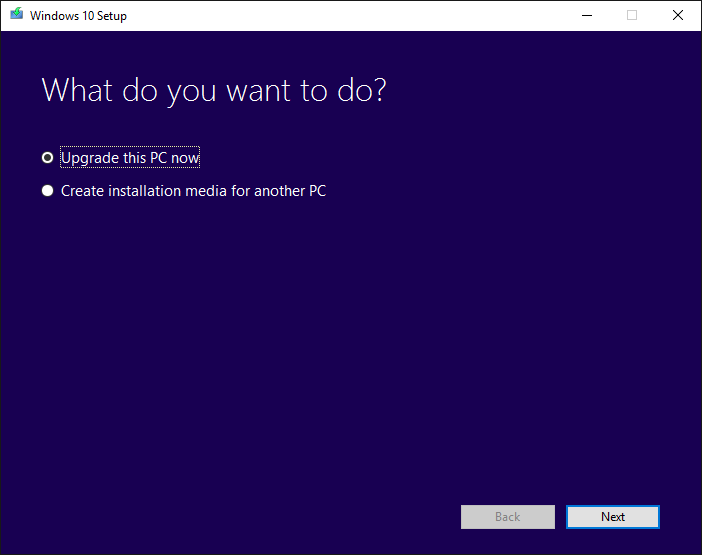 The main tool that Microsoft provided for downloading the official Windows 10 ISO images, creating USB or DVD installation media and perform the upgrade to Windows 10 immediately is Media Creation Tool (MCT). The Media Creation Tool was updated to version 10.0.10586.0 with the release of Windows 10 November Update to provide Windows 10 Build 10586. However, the MCT has since been reverted to version 10.0.10240.0, which is the version of Windows 10 RTM released in July 2015. Likewise for Windows ADK (Assessment and Deployment Kit), SDK (Software Development Kit), WDK (Windows Driver Kit), Windows HLK (Hardware Lab Kit), and Mobile Emulator. However, if you’re still looking for downloading the ISO files of Windows 10 Version 1511, or download the MCT Version 1511, check out the direct download links to various tools of Windows 10 Build 10586 below. While Microsoft has removed the references to Windows 10 tools versions 1511 of build 10586, the actual executable files are still residing on Microsoft’s servers. 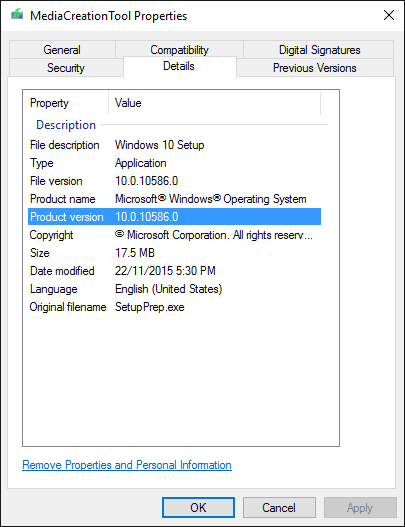 You can also directly download standalone and official Windows 10 ISO from Tech Bench. When you download the setup files above, they would have the file and product version of 10.0.10586.0 or 10.1.10586.0, which is the build version of Windows 10 November Update v.1511.